What Is Management Integrity in Accounting? 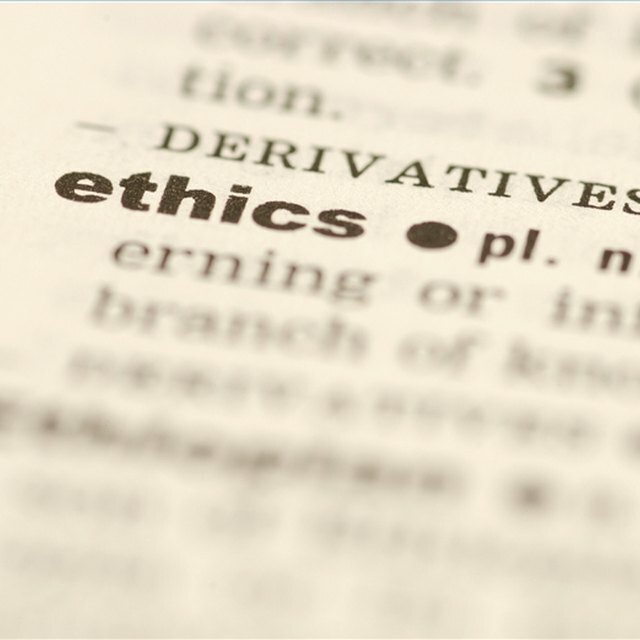 A report presented by the Association of Certified Fraud Examiners notes the importance of company management setting an "ethical example (or tone)" for their employees. Focusing just on the bottom line can signal to employees that anything in pursuit of that goal is acceptable behavior. Management integrity is the "tone at the top," the attitude of management toward internal controls and the example that their attitudes set for employees who sit lower in the corporate hierarchy. A lack of management integrity presents a risk that a manager will misappropriate assets or game a financial statement in pursuit of a larger bonus. The tone at the top can also provide a signal to employees that it is common to do such things, and that they themselves can and should do it. In 1987, the Report of the National Committee on Fraudulent Financial Reporting, often known as the Treadway Commission, highlighted the importance of management integrity. The improvement of management integrity was one of its key recommendations to reduce the risk of fraudulent financial reporting. In practice, this means that management and outside auditors must look at an organization's bonus structure to ensure that bonuses aren't yielding an undue influence on the way sales are reported, for example. Pressure to meet goals and analysts' expectations could also lead to fraudulent financial reporting, according to the Association of Certified Fraud Examiners. What Caused Enron to Collapse? Despite the work and recommendation of the Treadway Commission, ethical lapses by management continues to create a culture of fraud at many firms. Bernard Ebbers, the CEO of MCI/WorldCom was sentenced to 25 years in prison for his role in a massive accounting fraud. But a lower level employee, senior billing manager Walt Pavlo, was sentenced to 41 months in prison for falsifying accounting records. Pavlo told investigators that he felt immense pressure from his superiors to achieve financial targets. According to an article in "Auditing": A Journal of Theory and Practice, auditors may, for example, weed out firms suspected of having low management integrity, effectively declining to work for them. When firms have misstated financial statements in the past, it is likely that auditors will find other mistakes in the course of an audit. To a lesser degree, an assessment of management's integrity can also help explain the discovery of misstatements in the course of an audit. That is, when auditors are suspicious, they may tend to look closer at information provided by management.